What can PYTI® do for Me and how can I Revolutionize my Clinical Practice? What began as a small movement to transform healthcare 18 years ago, has now become an international certification program rooted in the functional and integrative medicine delivered via the Medical Therapeutic Yoga (MTY) methodology. This transformative practice is the future of healthcare. Available today. 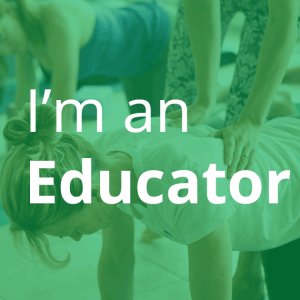 PYTI® offers the Professional Yoga Therapist Certification, which uses integrative medicine, including the science, psychology, and philosophy of Yoga, mindfulness, meditation, behavioral change, and communication. 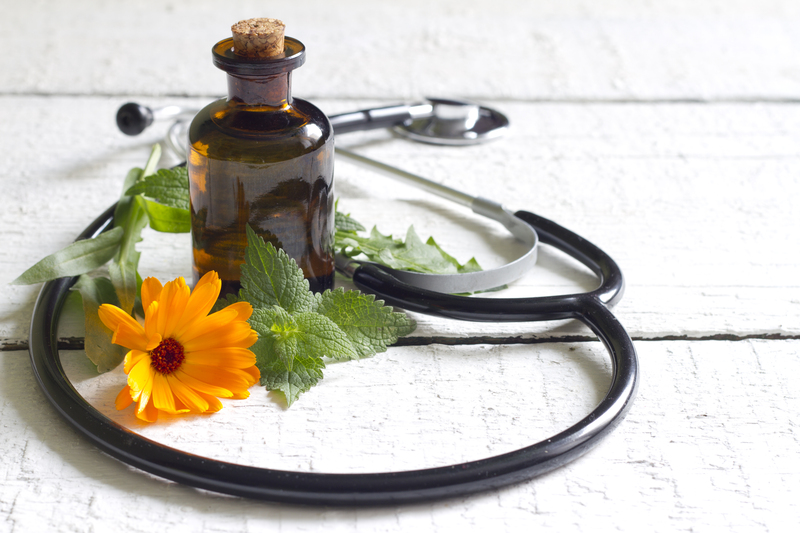 What is Functional & Integrative Medicine and how is that the Future of Healthcare? What Integrative Medicine practices does the PYTI® Certification Teach? Why is Functional & Integrative Medicine the Answer? While biomedical care saves lives with its demonstrated excellence in acute, crisis-based disease intervention (Garner 2016), it has a less success with chronic disease prevention and management (Pomeroy 2012, Van Hecke et al., 2013, Elliott et al., 2002). However yoga, specifically yoga that is based on best available evidence, the perfect adjunct to clinical rehabilitation disciplines has long term healthcare benefits not matched by the sole reliance upon biomedical care. Simply put, yoga’s inclusion in healthcare can improve rehabilitation, including its preventive, acute, and chronic care aspects, while also fostering creative, innovative dialogue that can transform healthcare, now and for the future. 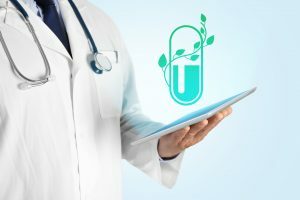 Further, their are critical aspects of Functional Medicine that the licensed healthcare provider can include in order to offer best care evidence-based options for their patients. What are the Foundations of Functional Medicine taught in the PYTI® Certification Program? Help determine the root cause of the individual’s condition through evaluation, diagnosis where appropriate, and treatment that is encased in a biopsychosocial model of assessment. Taking a thorough subjective intake, listening to the person and validating their experience and needs, and using the Functional Movement Assessment© enables the clinician to personalize a treatment plan. Affect behavioral health and lifestyle choices. Lifestyle choices contribute to the high cost and frequency of chronic illness that plagues our society today and which stems from complex, difficult to treat disease processes. Often the orthopaedic conditions we see, for example, can be linked with lifestyle choices, inflammation, obesity, and stress. And the effects do not stop there. An orthopaedic condition, such as low back pain, doesn’t typically occur as a single, isolated condition. There are often multiple affected body systems driving the back pain, such as gastrointestinal function, gut microbiome, and neuroendocrine health, for starters. The back pain eventually takes a toll on these systems, which inevitably impairs social, relational, and spiritual health. Or, the situation can work in reverse and what begins as a relational or emotional issue can manifest as physical pain. Functional medicine works to identify root causes of illness and impairment, identifying what other systems are involved and how we can impact systems-health, instead of treating the singular diagnosis. Diet, nutrition, lifestyle changes, and movement/fitness can all be a part of Functional Medicine intervention. Use best-fit Integrative Medicine approaches that are evidence-based, scientifically sound in a compassionate, inclusive environment driven by person-centered care. Is Functional Medicine & Integrated Care Right for You? If you answer yes to any of these questions, then integrated care is probably best suited to meet your healthcare needs. Do you have difficulty with sleep, weight control, or mood management? Are you tired of feeling tired or being in pain? Do you want to learn how to be fit more efficiently? Do you want to learn how to eat to support longevity, brain, body, and gut health? Do you want to prevent injury? Do you want to treat a current orthopaedic or women’s health issue holistically? Are you tired of being offered only drugs and more diagnostic tests? Are you tired of being treated like a diagnosis or chart number instead of a person? Would you like to feel better about yourself and manage your pain through a compassionate, holistic approach? NATIONAL CENTER FOR COMPLEMENTARY AND INTEGRATIVE MEDICINE. https://nccih.nih.gov/health/integrative-health#integrative. GARNER G. 2016. Medical Therapeutic Yoga: Biopsychosocial Rehabilitation and Wellness Care. Handspring Pub Ltd. Scotland, UK. POMEROY. C. 2012., (Lecture) Health Disparities and Social Justice: A Call To Action for Academic Health Centers. Prioritizing Health Disparities in Medical Education to Improve Care. New York Academy of Sciences. October 2. VAN HECKE, O., TORRANCE, N. and SMITH, B.H., 2013. Chronic pain epidemiology and its clinical relevance. British journal of anaesthesia, 111(1), pp. 13-18. ELLIOTT, A.M., SMITH, B.H., HANNAFORD, P.C., SMITH, W.C. and CHAMBERS, W.A., 2002. The course of chronic pain in the community: results of a 4-year follow-up study. Pain, 99(1-2), pp. 299-307. Where do I fit within PYTI®? Depending on your current level of practice, PYTI® has different ways to benefit you. Click your category below to learn more. How can I be a part of PYTI®?